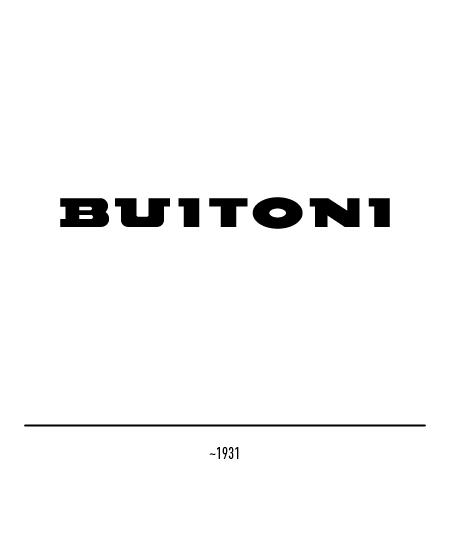 The year: 1827. 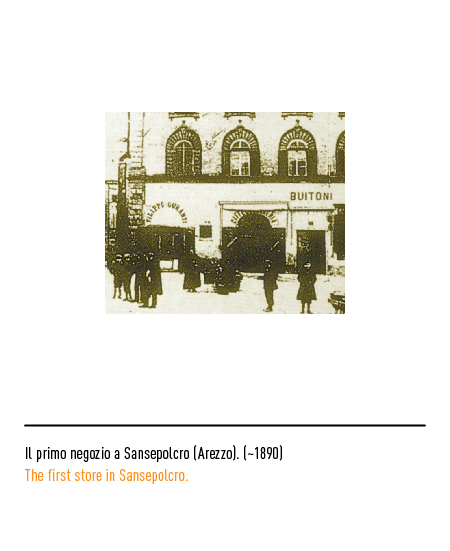 The scene: Sanseplocro in the Province of Arezzo, in other words in the very heart of Tuscany. 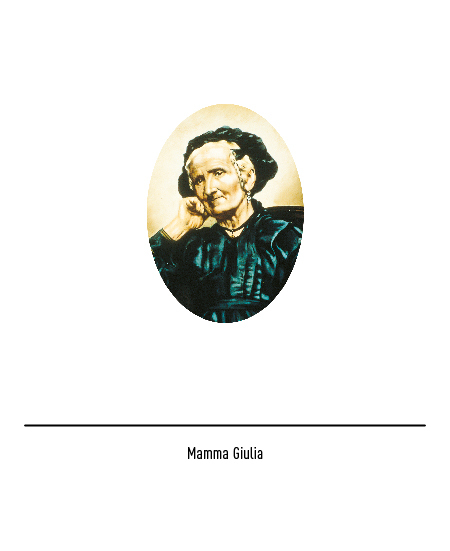 The characters: mother Giulia and Giovanni Buitoni. 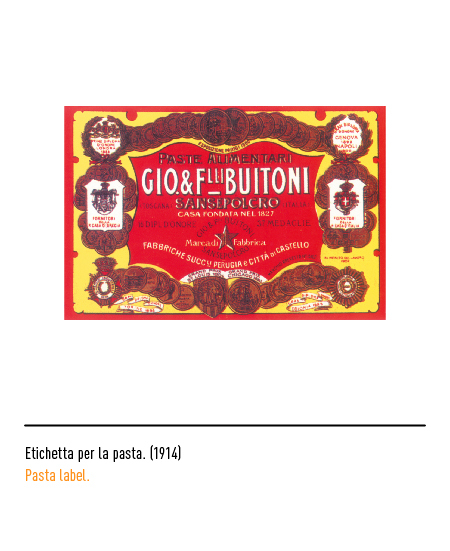 The home-made pasta of the founder of the Buitoni dynasty was so good that it was not long before requests started coming in from outlying towns and from ones further afield as well. 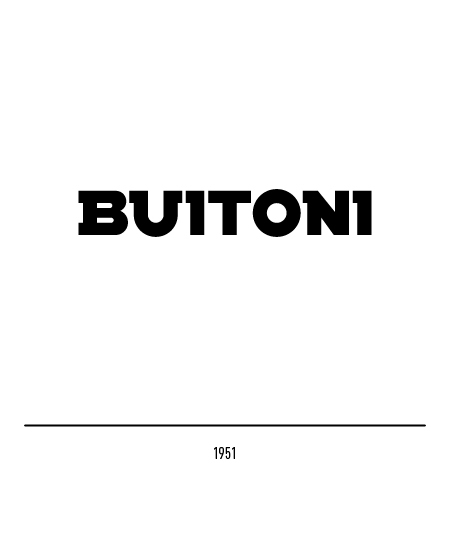 The family-run establishment started out as little more than a cottage industry and it was only in 1870 that it was put on a fully-fledged industrial footing by their heir, Giovanni Buitoni. 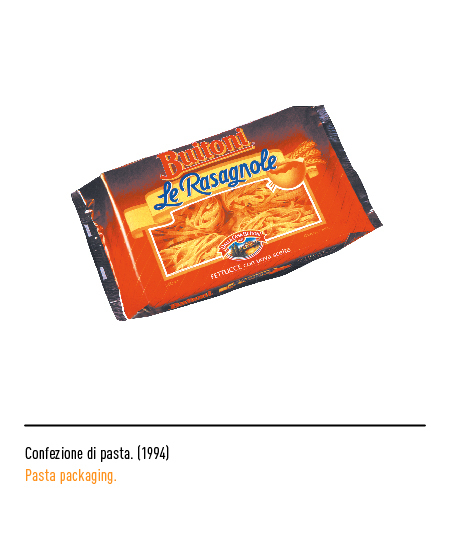 From the start it was fated to success, for in the same year the newly opened pasta factory was awarded the Gold Medal at the International Exhibition in Paris. 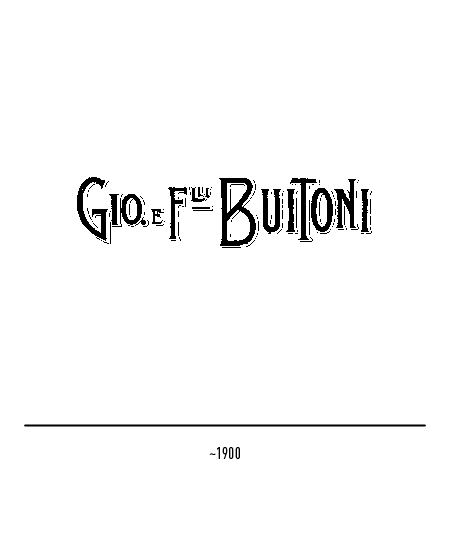 In 1879 the effective collaboration of Giovanni's brothers brought a change to the name, henceforth called "Gio. 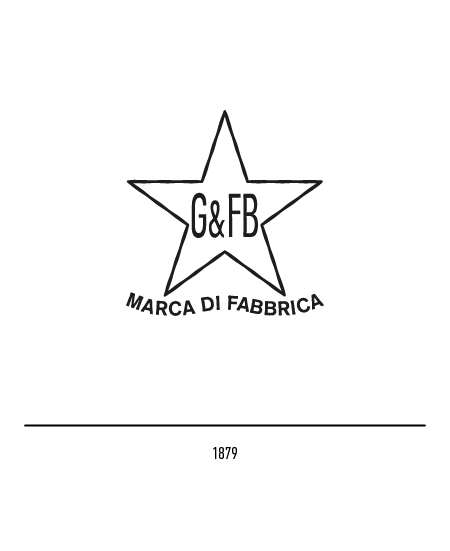 & F.lli Buitoni", as well as to the design of the firm's first trade-mark in which was portrayed a star with the acronym of its official name. 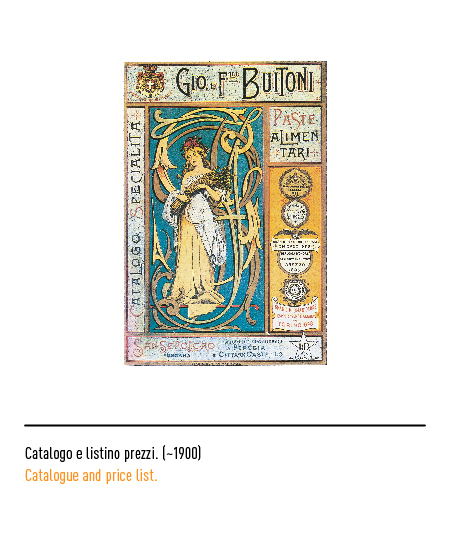 A number of gracefully festooned logotypes in the art nouveau style completed the firm's iconic devices. 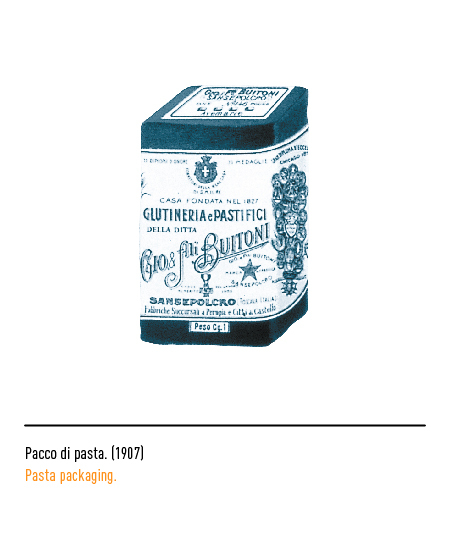 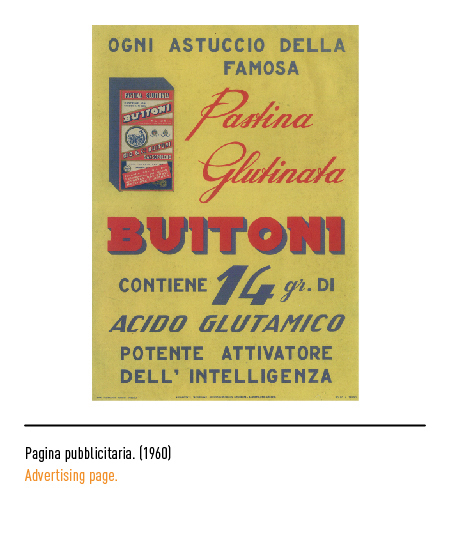 The fist glutine-added pasta was brought out in 1884 and for the occasion a special series of labels were designed displaying certificates and approvals released by the leading medical authorities of the time. 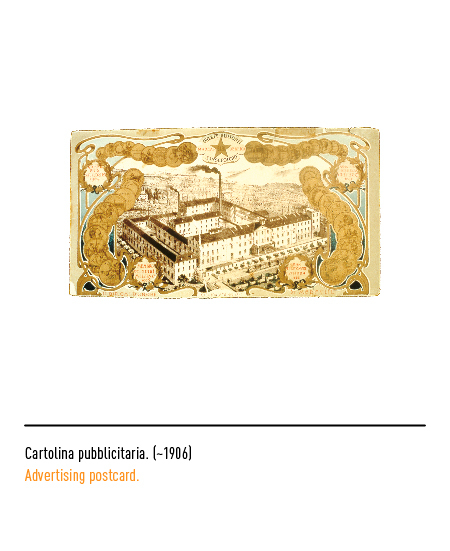 The climax of this strategy came in 1907 when the firm was appointed purveyors to the royal household thus permitting it to add yet other laurel to its label. 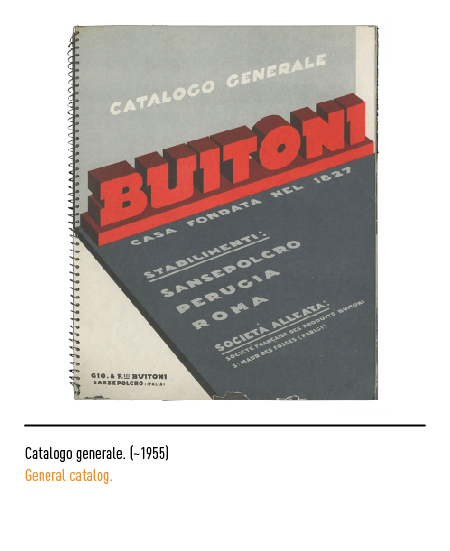 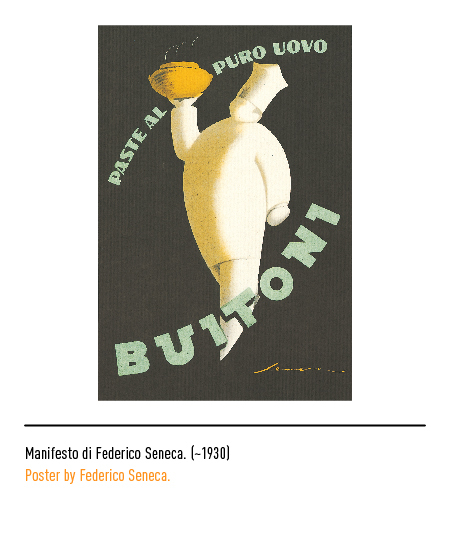 In the early thirties Federico Seneca (see Perugina) designed a new trade-mark characterised by chunky upper case lettering. 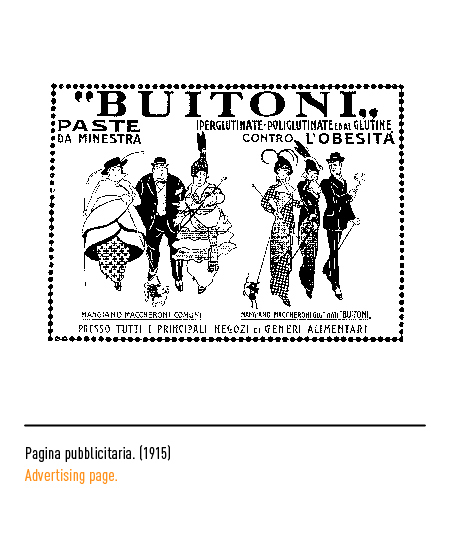 Except for some slight changes to the lettering, it was a trade-mark that was to survive unaltered for forty years. 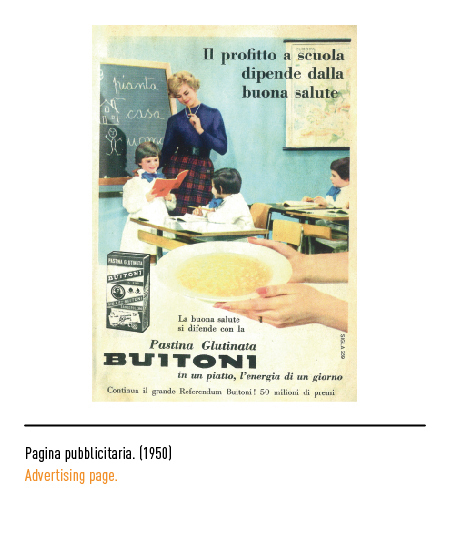 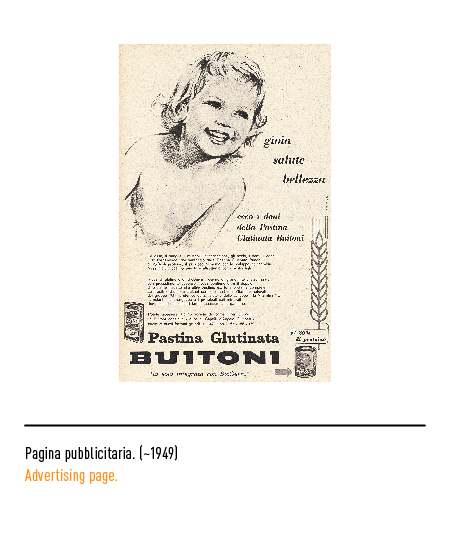 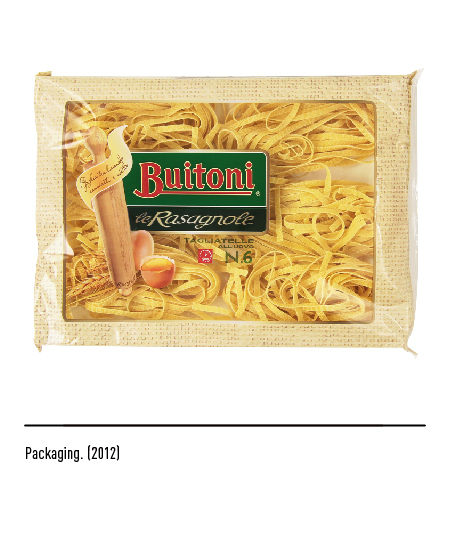 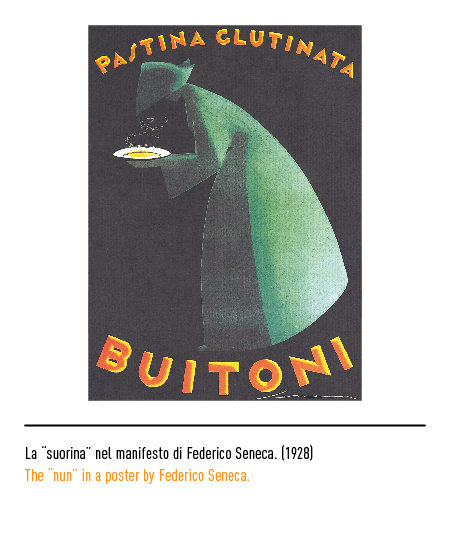 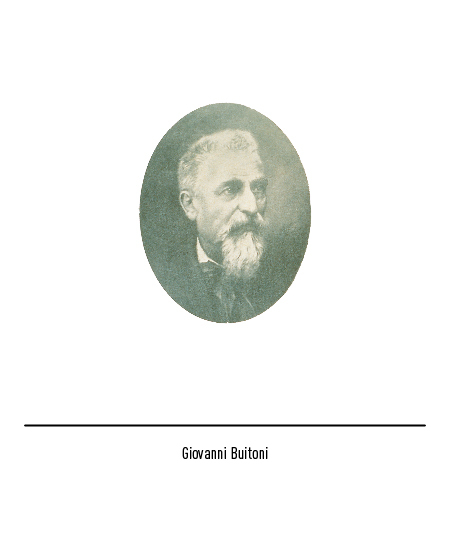 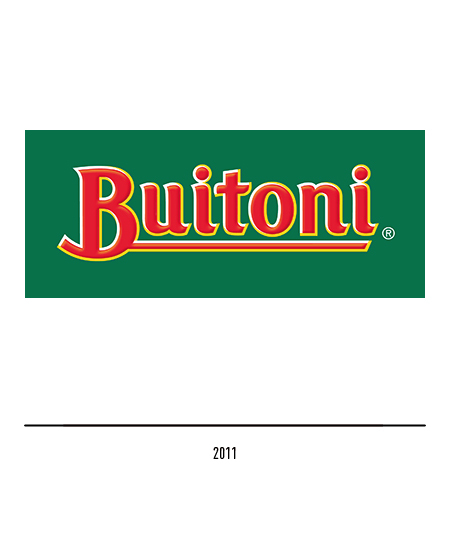 In 1969 Buitoni was taken over by Perugina and a new corporation called "Industrie Buitoni Perugina" was set up with a new trade-mark. 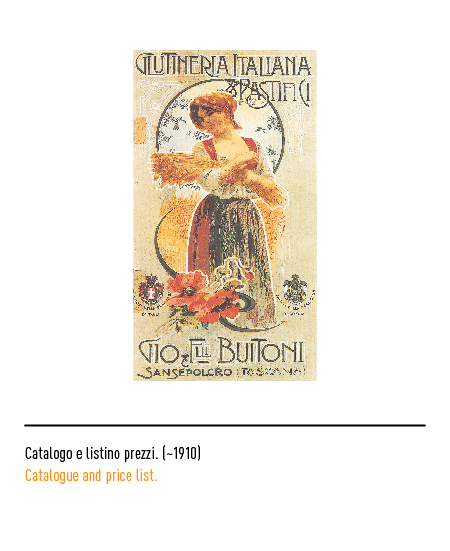 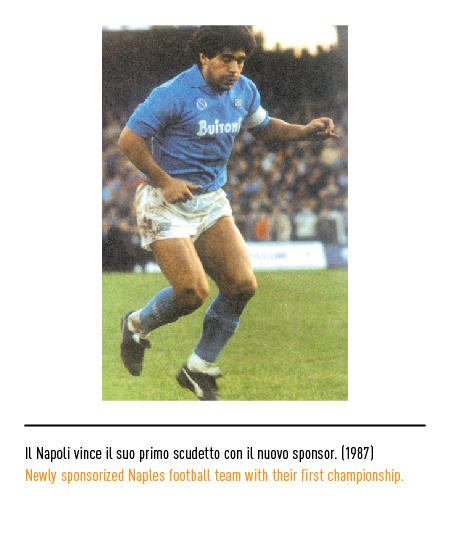 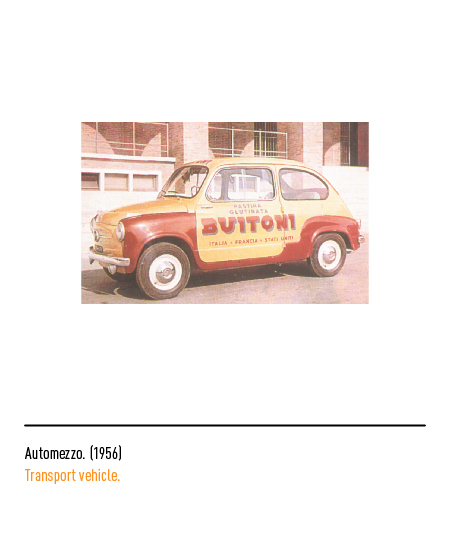 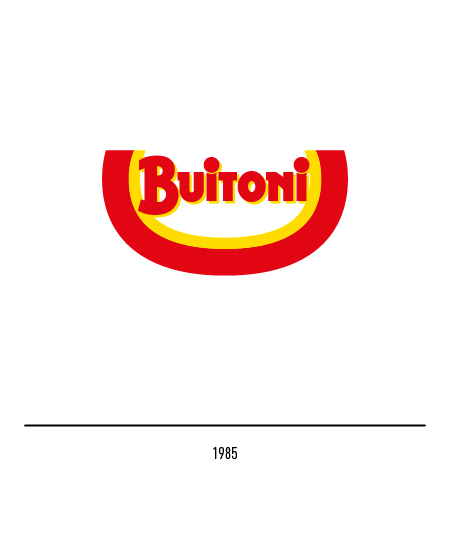 In 1985 the Buitoni trade-mark itself underwent restyling. 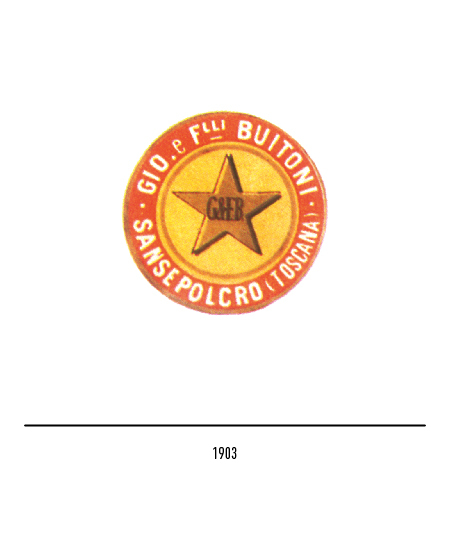 Its name appeared framed in a yellow and red oval with an imposing initial letter and upper case dots on the "i's". 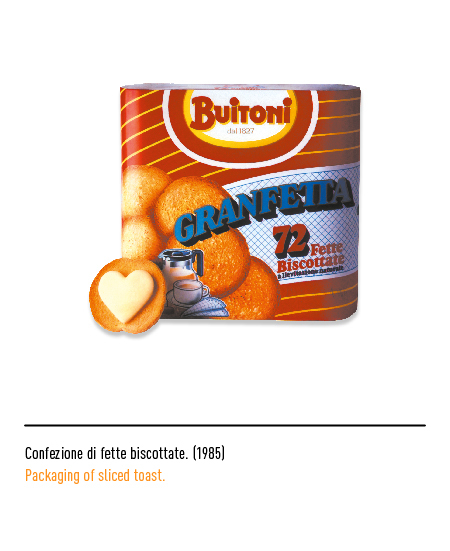 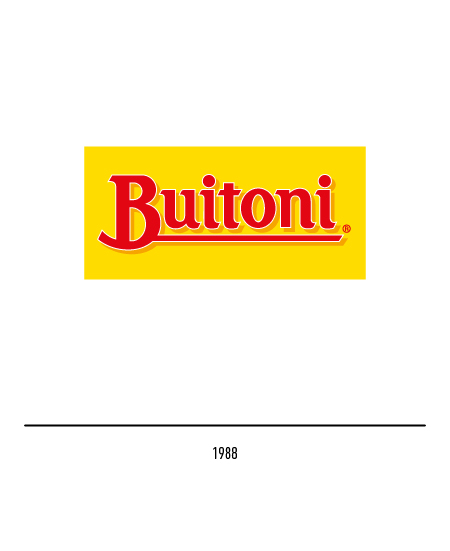 In 1988 Buitoni was bought up by Nestlé and two years later a new trade-mark appeared with capitalized lettering with serifs and underlining as a guarantee to the consumer of product genuineness. 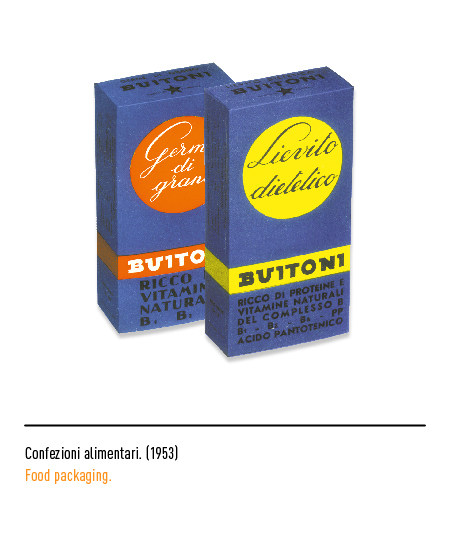 UNA STORIA PER IMMAGINI, folder fotograﬁco della Buitoni / Nestlé. 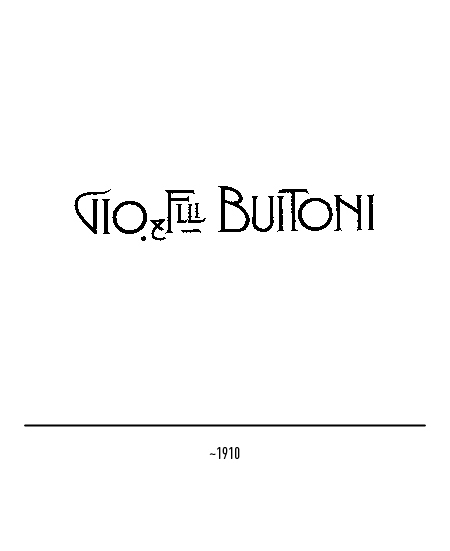 DALLA CASA BUITONI, houseorgan della Buitoni. 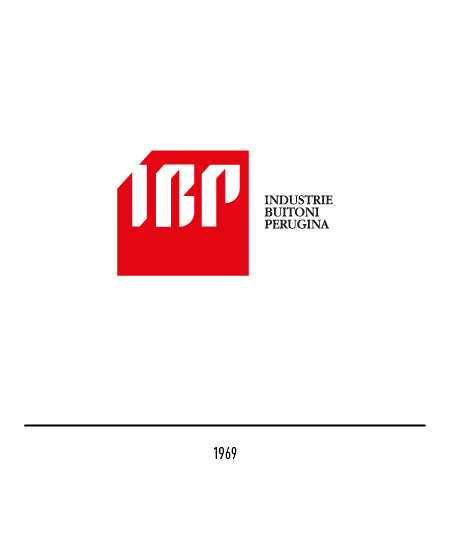 AAVV, UN’ANTICA INDUSTRIA… NELLA TERRA DI PIERO, Paraventi, Sansepolcro, 1968.